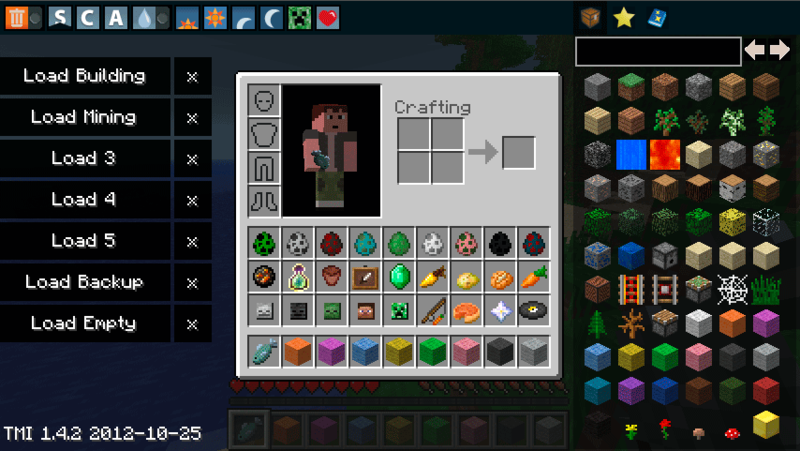 Description: Inventory/items modification for Java based game, Minecraft. Download the TMI for Forge from link above. Open Start Menu, type %appdata%/.minecraft/mods and hit OK.
Move the TMI zip file into the mods folder and you’re done. Download the normal version of TooManyItems mod according to your game version. Download MCPatcher for your game version and run it. Select your Minecraft profile and game version from drop-down menus. Now click Patch button from McPatcher and then click test Minecraft to verify installation. • Some features do not work in SMP mode unless you are server admin. • Keep a back-up of your world saves before installation.